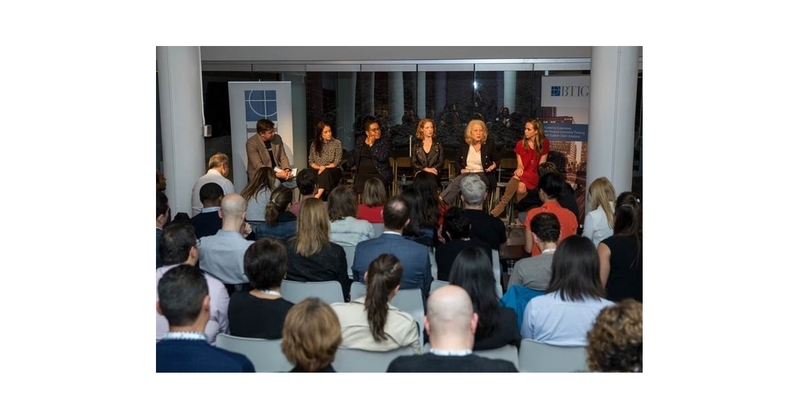 NEW YORK–(BUSINESS WIRE)–BTIG, LLC and Betaworks Studios announced today that it hosted “BTIG’s Female CMO Roundtable – How Can Brands Engage Consumers in 2018 and Beyond” with featured panelists Linda Boff, Chief Marketing Officer of GE, Christina Carbonell, Co-Founder of Primary.com, Emily Culp, former Chief Marketing Officer of Keds, Pam El, Chief Marketing Officer of the NBA, and Joanna Lord, Chief Marketing Officer of ClassPass, on Monday, October 8th in New York. The event took place at Betaworks Studios and was moderated by BTIG TMT Analyst Richard Greenfield. The roundtable focused on how brands are leveraging new technology and data on consumer behavior to engage with customers globally. Participants discussed the ways in which the marketing spend is changing, how to reach younger demographics in an increasingly fragmented world and what panelists perceive as the most exciting new technologies for marketers to utilize. The speakers emphasized that performance and brand marketing must learn to co-exist, with marketers focused on telling their brand’s story across an evolving array of platforms. “Betaworks Studios is a place where builders gather to share stories around how to build better and we couldn't have brought together a better collection of builders last night, with the chief storytellers from some of the world's most well-known brands,” commented John Borthwick, Founder and Chief Executive Officer of Betaworks. BTIG’s Corporate Access program hosts client events across the consumer, energy, financials, healthcare, real estate, shipping and technology, media and telecommunications sectors. For more information about the conference or to access BTIG insights, contact a BTIG representative, or visit www.btigresearch.com. Follow the conversation on Twitter along with @RichBTIG. Betaworks Studios is a new club for builders located in the Meatpacking District of NYC. Over the past 10 years Betaworks has built companies, run accelerators, and invested in talent. Now we’ve opened our doors and invite you to join our supportive community of builders in the place we call home.